Arrival at Alama Iqbal International Airport Lahore. Meet, assist and transfer to the hotel. PM. visit to Lahore Food Street & Bazaar. Overnight in Lahore. (No meals). Morning proceed for full day sightseeing of Lahore Fort, Badshahi Mosque, Museum. Lahore was the cultural hub of the northern part of the subcontinent which widens from the eastern banks of the Indus River to New Delhi. Mughal structures such as the Badshahi Mosque, Mausoleum of Allama Iqbal, the Lahore Fort, Shalimar Gardens, and the mausoleum of Jehangir and Noor Jahan are popular tourist attractions for the city. Lahore is also home to many British colonial structures built in the Mughal-Gothic style, such as the Lahore High Court, the General Post Office, Lahore Museum and many older universities including the University of the Punjab. The Lahore Zoo, thought to be the fourth oldest zoo in the world is also situated here. Lunch in a local restaurant. 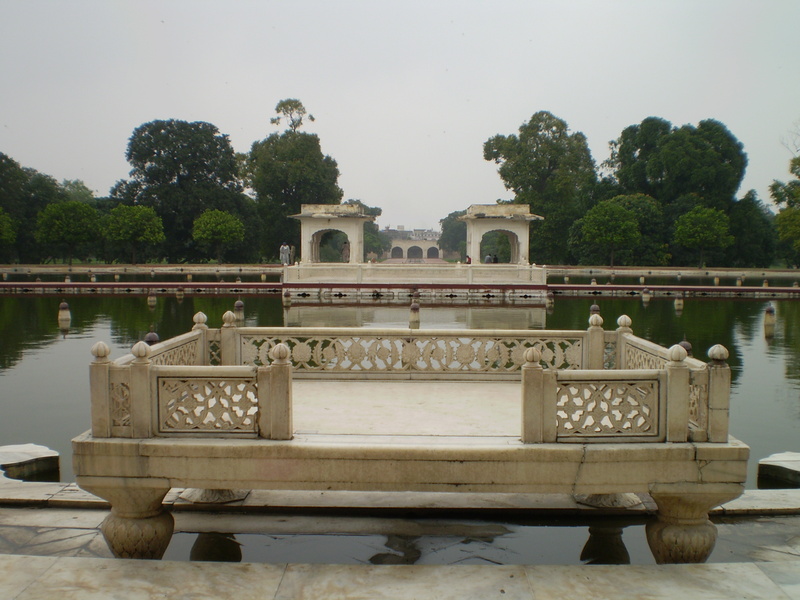 After lunch continue to visit Shalimar Gardens, Jahangir’s Tomb. Evening transfer to the hotel. Dinner & overnight at the hotel. (Breakfast, Lunch & Dinner). After breakfast drive to Islamabad. En-route visits Rohtas Fort. 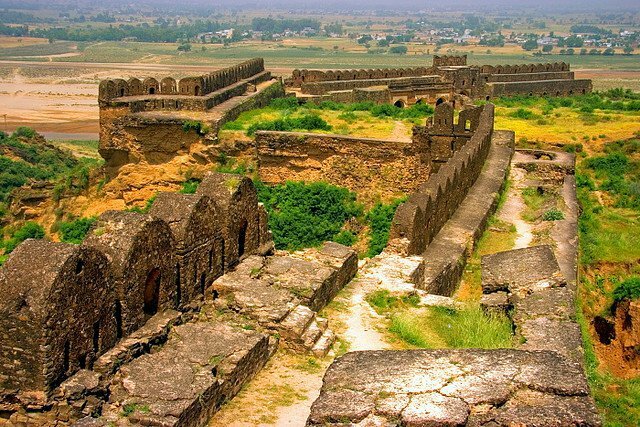 Rohtas Fort is located in a gorge around 16 km North West of Jhelum, 7 km from Dina & 190 kms from Islamabad. Fort has been built on a mound where the small Kahan River congregates one more rainy water flows called Parnal Khas and turns east towards Tilla Jogian Range. Rohtas Fort is built by the great Afghan king Sher Shah Suri. Fort is about 4 km in perimeter and is a unique example with combination of Pukhtun and Hindu structural design in the Indian Subcontinent. Afghan king Sher Shah Suri built Rohtas Fort to block Emperor Humayun’s return back to India after defeating in the conflict of Kanauj. This fort lies on the old GT road between the North (Afghanistan) to the Plains of Punjab. It blocked the line of attack from Peshawar to Lahore. The other reason was to restrain the local clan of Potohar region. The Gakhars who were cronies of Emperor Humayun and declined their loyalty to Sher Shah Suri. The Emperor instructed the local Janjua Rajput clan to help in building the fort to press the Gakhars. Sher Shah Suri named Rohtas Fort after the well-known Rohtasgarh Fort in Shahabad district near Baharkunda in Bihar India, which he confined from the Raja of Rohtas Hari Krishan Rai in 1539. Rohtas Fort is an incomparable paradigm of early Muslim martial architecture in central and South Asia. Continue drive to Islamabad. Arrive and transfer to the hotel. Dinner & overnight in Rawalpindi/Islamabad. (Breakfast, Lunch & Dinner). Full day sightseeing of Rawalpindi and Islamabad, Faisal Mosque, Shakar Parian, Pakistan Monument, Raja Bazaar. Islamabad is the capital city of Pakistan & the 10th largest city in the country. Rawalpindi/Islamabad city Area is the third largest in Pakistan with a Population of over 4.5 million residents. Islamabad is located in the Potohar Plateau in the north of the country, within the Islamabad Capital Territory. The area has previously been a part of the junction of Punjab and Khyber Pukhtunkhwa with Margalla pass acting as the entrance between the two regions. The city was built during the 1960s to replace Karachi as Pakistan’s capital. 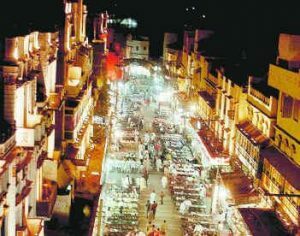 We’ll also visit the King Bazaar, which is worth taking due to its old historical buildings. Breakfast at the hotel. Drive to Peshawar en-route visit Taxila Sites, Museum. Taxila is a Tehsil in Rawalpindi District of Punjab province situated just off the Grand Trunk Road about 40 kms northwest of Islamabad the capital city of Pakistan. It is an imperative archaeological site. Taxila accurately claims to be the confluence of the immense civilizations of the world. It came to celebrity when it was under enemy control by Mouriyans, Kushans, Greeks, Scythians and Parthian. Taxila is the region from where Buddhism traveled to the Far East and Persians, Greeks and Hindus all later left their mark. View the sun set from the ruins of a Buddhist monastery or stroll all the way through streets of a dug up Persian city in the information that there are two older ones buried underneath. In 1980, Taxila was declared a UNESCO World Heritage Site with many locations. Now it has been given a status as the top tourist destination in Pakistan. After lunch continue drive toPeshawar. Arrive and transfer to the hotel. Dinner & overnight in Peshawar. (Breakfast, Lunch & Dinner). 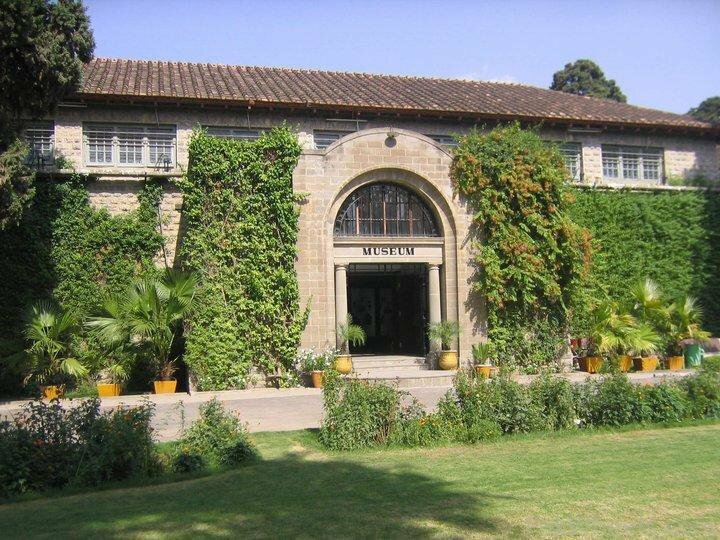 Full day sightseeing of Peshawar Museum, Qissa Khawani Bazaar, Mohabat Khan Mosque. Peshawar is located in a big valley near the eastern part of the historical Khyber Pass, and the Indus Valley. Peshawar is also known as (City on the Frontier). In Persian Peshawar’s strategic location on the intersection of Central Asia and South Asia has made it one of the majority ethnically vibrant and vigorous cities in the greater region. Peshawar is the capital of Khyber-Pukhtunkhwa and the business & administrative center and central economic hub for the Federally Administered Tribal Areas of Pakistan. Peshawar has changed into one of Pakistan’s most ethnically, linguistically, and religiously diverse cities. In the last three decades, there has been a major increase in urban inhabitants, in part due to internal resettlement of the people to seek better employment opportunities, education & services and in part because of the entry of Afghan refugees and other people displaced by military operations and civil unrest in adjacent regions. 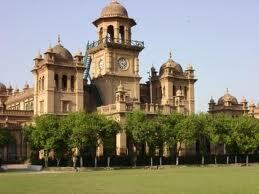 Peshawar is the major educational, political center of Khyber Pukhtunkhwa. Early breakfast at the hotel and drive to Lahore by road. En-route visiting Salt Mines & lunch in a local restaurant. 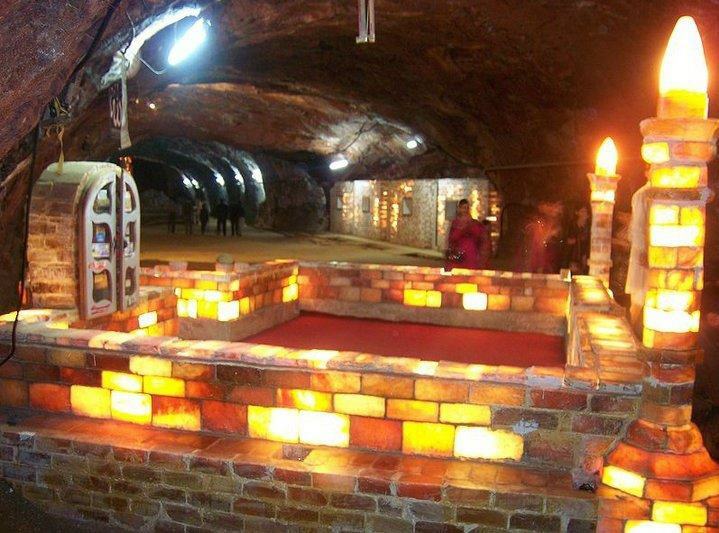 Khewra Salt Mines are located in Khewra 5 kms north of Pind Dadan Khan & 13 kms from Choa Saidan Shah in the north side. Jhelum District, Punjab Pakistan on the right bank of river Jhelum and away from Peshawar at a distance of 332 kms on the south side & 260 kms from Lahore. These salt mines are the 2nd biggest mines in the world. The detection of Khewra Salt Mines dates back to 320 BC during the invasion of this region by Alexander the Great. Located at the foothills of the Salt Range, these mines are the oldest in the salt mining history of the Asian sub-continent. The main tunnel initially developed by Dr. Wrath in 1872. Now, it has been converted into tourist resort. Dinner & overnight in Lahore. (Breakfast, Lunch & Dinner). Breakfast at the hotel. Transfer to Allama Iqbal International airport for homebound flight. (Breakfast only).